The RM 90GO! 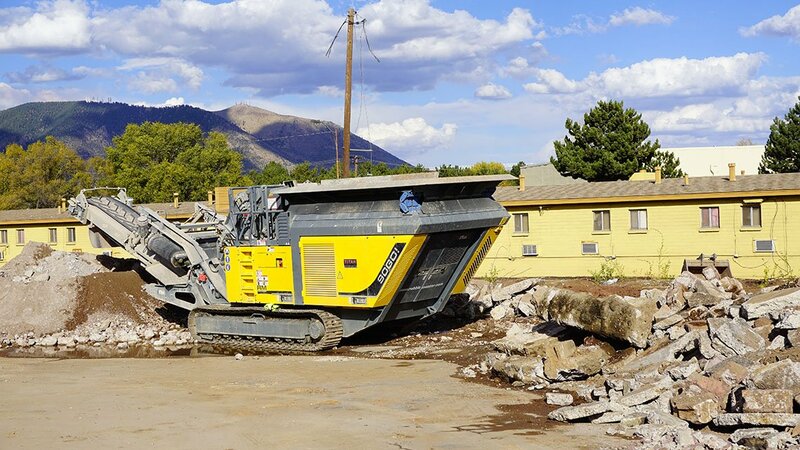 owned by the demolition and recycling company 108 Excavating started operation in northern Arizona. 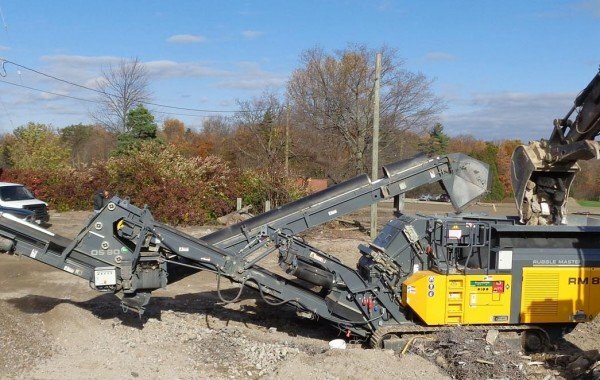 Great productivity, high quality aggregate and top quality service are the main reasons for the investment, explains 108 owner Billy Todd. 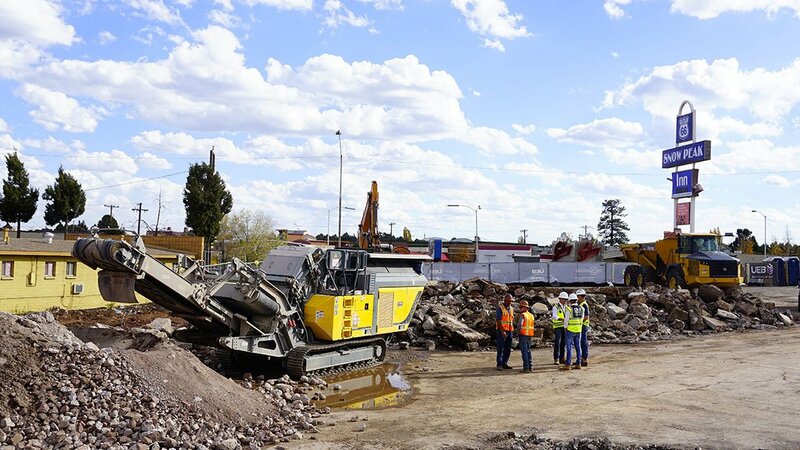 One of the first jobs for the new compact crusher was the demolition of an old hotel on the legendary Route 66. 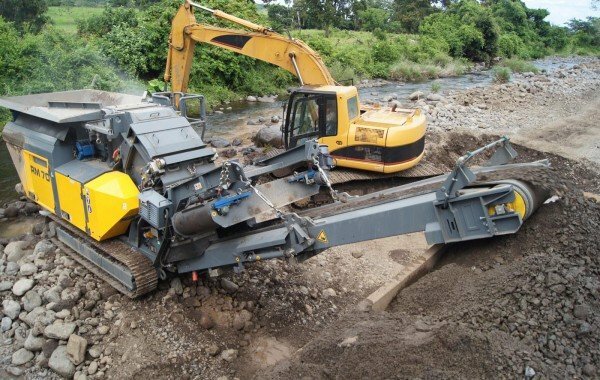 108 Excavating is a company that specialises in demolition, excavating and recycling in Flagstaff, a medium-sized city located high up in the mountains of Arizona. Billy Todd (owner) turned to Titan Machinery, a construction machinery dealership with whom he has worked together for many years. He was looking for a sound investment to extend his current offering and increase profitability and competitiveness. 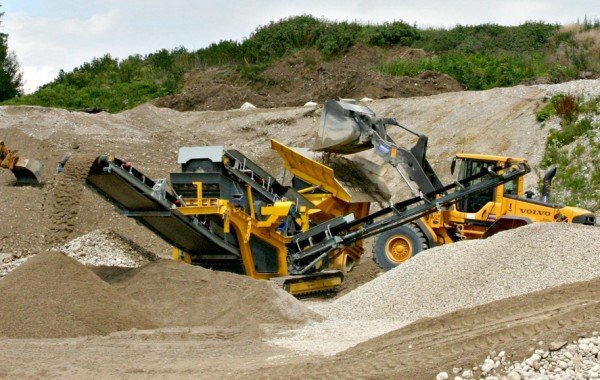 Kevin Smith (Area Sales Manager at Titan Machinery) introduced Billy to the principles of RUBBLE MASTER machines: set up in just 15 minutes, straightforward transport, rapid maintenance and precision in the sorting accuracy of the screened materials thanks to the RM mesh deck screen. Plus, high productivity, high aggregate value and intuitive operation as well as availability of technicians and spare parts at any time. 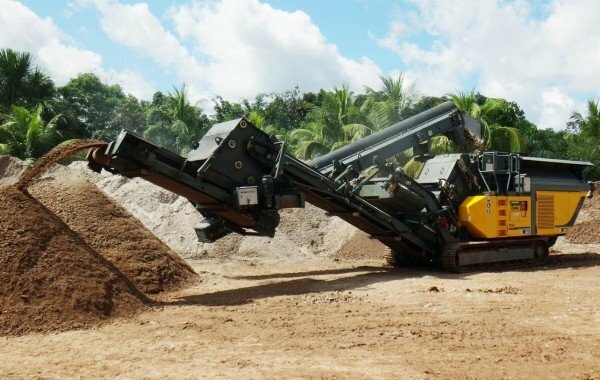 In a nutshell, a crusher that is ideal for processing and recycling directly on the job site. One of the first jobs for Billy Todd’s new RM 90GO! was the demolition of a hotel on the historical Route 66. 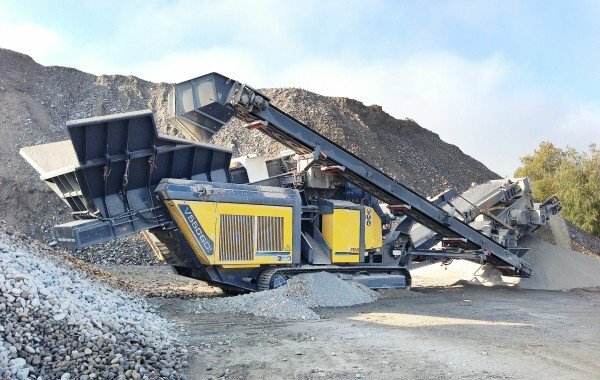 The perfect job for the powerful crusher: after the hotel had been demolished, the remains needed to be processed. 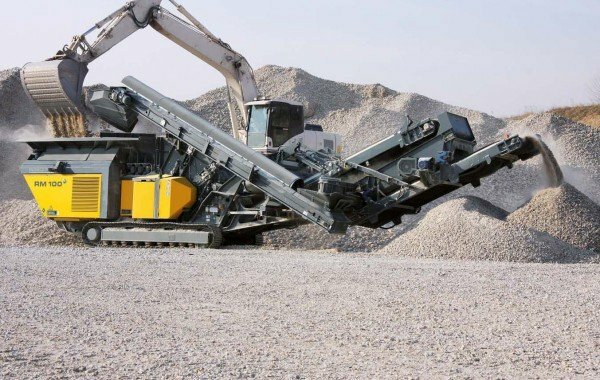 “We crushed the rubble into a fine aggregate with a diameter of less than three inches. The crusher was set up and ready for operation within a few minutes. Each bucket that was emptied into the crusher was cash in our pocket”, said Billy Todd, impressed by the work delivered by his new investment. Route 66 is a major part of American culture – and it makes the full-blooded American proud to be contributing to the upkeep of this cultural highlight.